The Christmas party for some very lucky children from our City was held at the Police College on 18 November this year. Thirty-two children from three primary schools attended. They met the Police recruits for the first time and spent the afternoon playing sports and sharing a light meal with them. 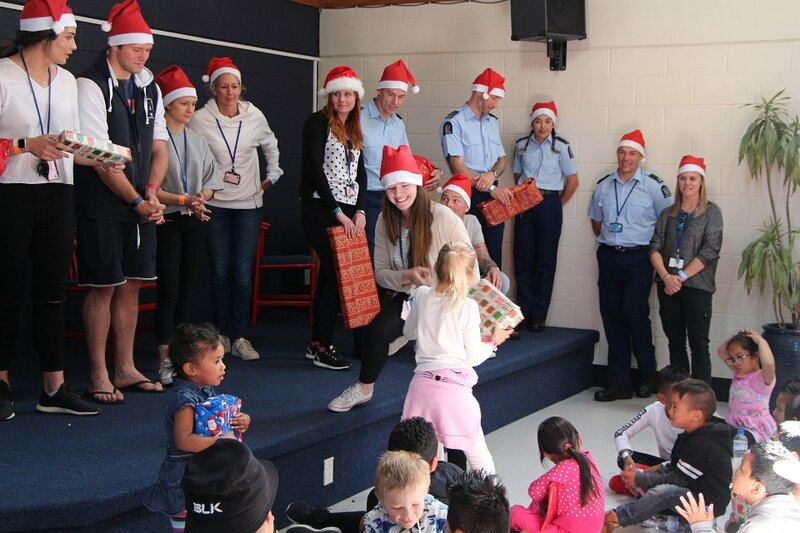 At the end of the day, after swapping their blue hats for Santa hats, the recruits presented each child with a small Christmas gift. For some of these children, chosen by their schools, the Christmas party could have been their first positive experience with Police staff. Both the schools and the Police recruits speak highly of this event, with the children talking about it for weeks afterwards. 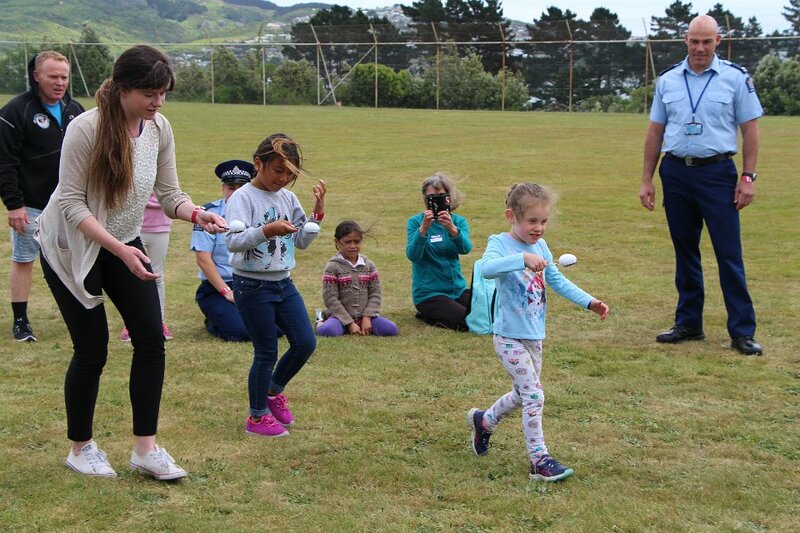 Plimmerton Rotary members who assisted at the party also commented on the fun that they had and the obvious enjoyment expressed by the children and the recruits. The event is an annual project for Plimmerton Rotary. Club volunteers attend to the organising of the event, and the Club's Charitable Trust provides the funds for the bus to transport the children, the catering and the gifts. Check out our Gallery here to see the wonderful photos taken by Graham Craig. Original generation time 1.3494 seconds.